A VERDICT OF accidental death has been returned at an inquest into the death of a man who choked on a Mars bar while travelling on a Luas in Dublin. David O’Reilly (49) of Kingscourt, County Cavan stepped off the Luas at Abbey Street and collapsed on 29 October 2015. The inquest at Dublin Coroner’s Court heard that a number of people got off the Luas at the Abbey Street stop in a bid to help O’Reilly. He was rushed to the Mater Hospital where part of the Mars bar was removed from his airway. He was treated in the intensive care unit but was later transferred to a six bed ward, where family found him in a distressed state. The family raised concerns about the manner in which he was moved from the high dependency unit. The inquest heard that a care plan had been devised that O’Reilly would be moved to a single occupancy room for palliative care and his siblings were upset to find him on a ward. 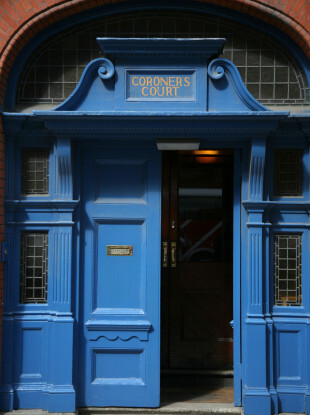 The inquest heard evidence from a consultant in palliative care at the Mater Hospital, Professor Karen Ryan. Asked if the nature of the transfer to the ward had any bearing on David’s tragic outcome, Prof Ryan replied no. Coroner Dr Crona Gallagher noted that “the damage was done” after David had been deprived of oxygen following the choking incident on the tram. The victim’s sister Frances Buchanan said it was important to the family that David should have dignity in death and once he was moved to a single occupancy room his palliative care was “second to none”. In his medical report Dr Stephen Stuart, consultant on call at the Mater Hospital noted the man had inhaled part of a Mars Bar and suffered a cardiac arrest. O’Reilly died at the Mater Hospital on 17 November. The cause of death was severe brain damage due to lack of oxygen caused by aspiration of a food bolus. “He had a heart of gold. He was so kind. He had very little but he would give you anything,” said Buchanan. Her brother had trained as a chef at the age of 15, she said. The family of seven siblings lost both parents when they were very young and this had a traumatic effect on her younger brother, she added. “He loved sport, he called around often to visit my sons and they would watch football together, they were very close. He was very religious and had visited Medjugorje and expressed a wish to go back. He had managed to turn his life around,” she said. Email “Accidental death verdict at inquest of man who choked on Mars bar on the Luas”. Feedback on “Accidental death verdict at inquest of man who choked on Mars bar on the Luas”.